Their second outing with Island has a rawer feel than their début, with more overtly militant material. Gone is the romance of "Stir it Up" and "Stop that Train", as are the female backing singers, and the overdubbed guitar of "Catch a Fire". Again they cover songs from earlier releases, but this time around I don't think the covers fair as bad in comparison to the earlier work as they did on "Catch a Fire", but the originals still sound better.- "Put it On" however may be the exception, this may be stronger than Lee Perry's version. 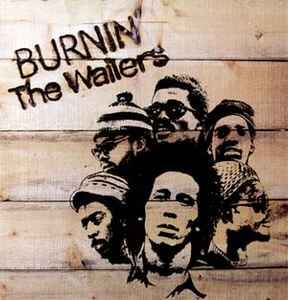 "I Shot the Sheriff" and "Burning and Lootin" are the high points here on what is the last album by the original Wailers (Marley, Tosh and Livingston). this is filed as by artist 'The Wailers'. I understand why one might think that's correct, but it's NOT in line with the filing of "Catch A Fire" deluxe edition, which is filed as by 'Bob Marley & The Wailers', It may be that the artist quoted on the front cover art is 'The Wailers' (reproducing the artwork of the original release), but in credits, official press releases and on the spine of the deluxe edition package, artist IS quoted as 'Bob Marley & The Wailers'. My conclusion: filing this as 'Bob Marley & The Wailers' is correct, change is required; if one disagrees, the "Catch A Fire" deluxe edition should be changed accordingly.